Our rubber nozzles with clamping device for trucks are available with a nozzle opening from 185 x 235 mm. 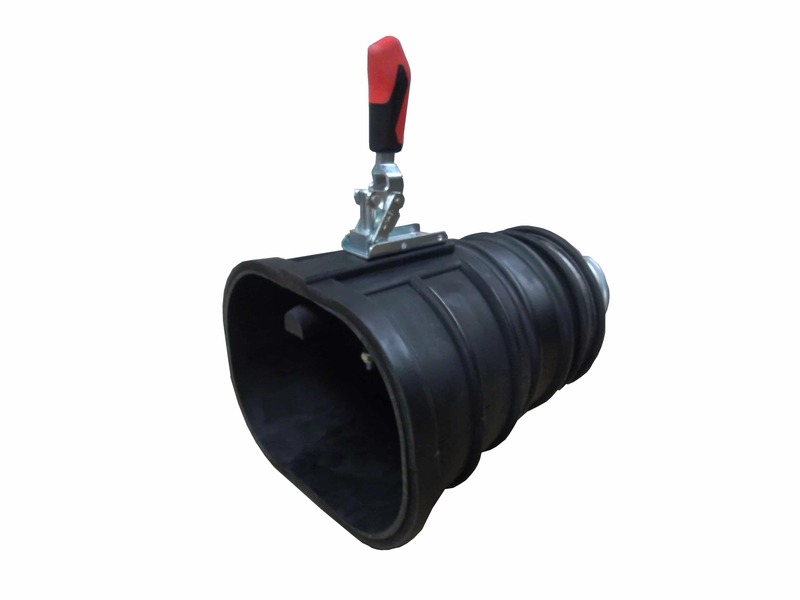 They are equipped with a swivel joint for nozzle and the hose connection, collect chuck with release bearing for different widths, also available with automatic release. The metal nozzles made of thick walled aluminum. They are simple and robust, specially suitable to capture high exhaust gas temperatures, including a protective grid. The clamp provides a direct and simple fixing at the exhaust pipe.